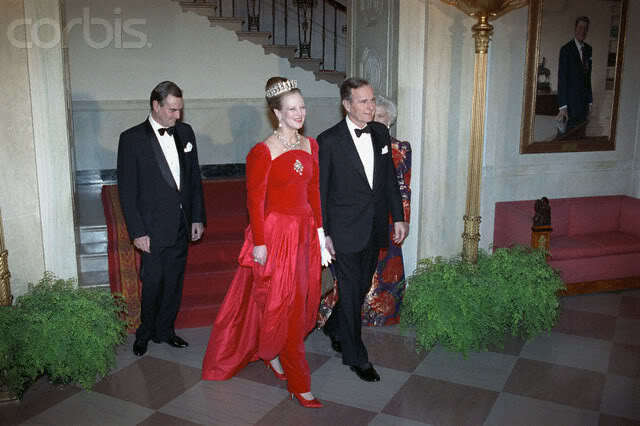 Margrethe Alexandrine Þórhildur Ingrid was born on 16 April 1940 in Copenhagen's Amalienborg Palace as the child of King Frederick IX and Queen Ingrid just one week before the Nazis invaded Denmark. 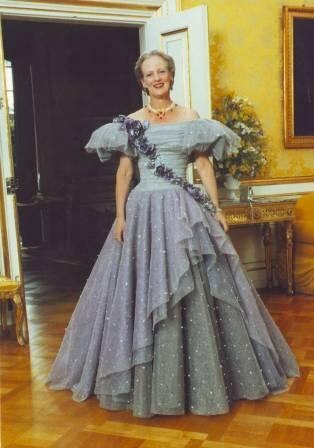 She has two younger sisters: Princess Benedikte and Queen Anne-Marie of Greece. Well educated, she's studied at Girton College: Cambridge, Aarhus University, and London School of Economics. 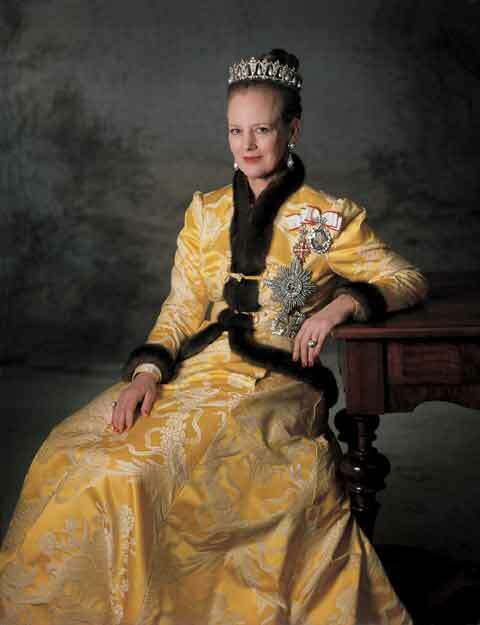 She came to the throne upon the death of her father on 14 January 1972. 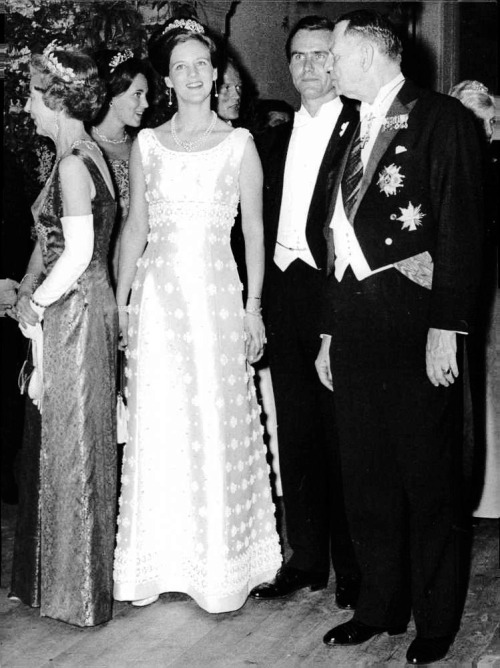 She married French-born Count Henri de Laborde de Monpezat (later changed to the Danish "Henrik" with the title of Prince). 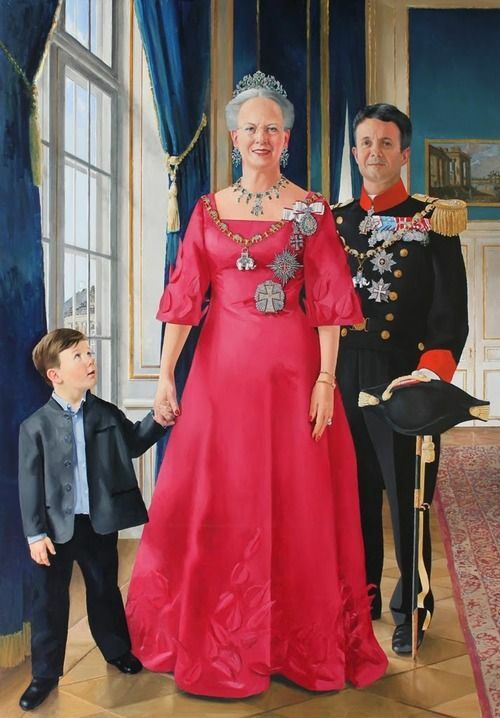 They have two sons: Crown Prince Frederik and Prince Joachim. 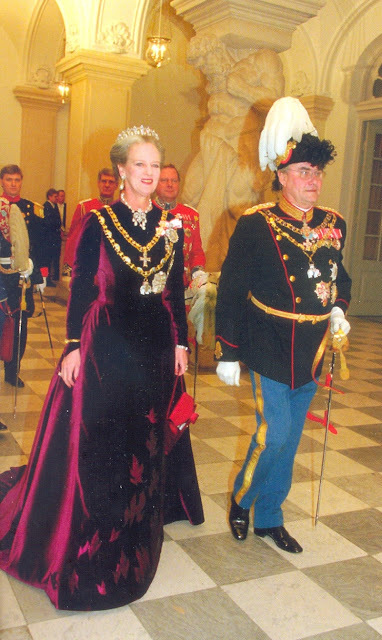 They also have eight grandchildren: Princes Christian and Vincent and Princesses Isabella and Josephine (via Frederik) and Princes Nikolai, Felix and Henrik and Princess Athena (via Joachim).